A typical landscape from the south of Grande Terre. Strange forests occupy the north of the island. The Jurassic Park in dispute is Grande Terre, the main island of New Caledonia, an archipelago in the southwest of the Pacific Ocean. Unlike many other Pacific islands that grew out of the sea when volcanoes belched out fresh lava, Grand Terre is terra firma, part of a largely underwater continent whose name — Zealandia — few people know. More than 1000 kilometres from the nearest large land mass, New Caledonia (red square) has been isolated for tens of millions of years. When dinosaurs roared and roamed and ruled the Earth, Zealandia was part of the supercontinent Gondwana, along with modern day Africa and South America, India and Arabia, Australia and Antarctica. Over time, Gondwana’s component continents split and drifted toward their present positions and when Zealandia — a great slab of land the size of India — parted company with Australia around 80 million years ago it then mostly slipped down beneath the sea. Today more than 90 percent of Zealandia remains submerged but biologists have long held that Grande Terre was among the few parts of the continent that were never drowned. As evidence they pointed to the island’s strange species, many of which live nowhere else on Earth. Some are ‘living fossils’ that have changed little over tens of millions of years, like the shrubby trees of Amborella trichopoda. They are the closest living relatives of the first ever flowering plants and their wood lacks the vessels found in modern tree species. Many of Grande Terre’s animals are unique to the island too. They include the world’s largest pigeons and geckos and skinks, and a curious creature called the Kagu, a flightless bird with no close living relatives. One more piece of evidence for Grande Terre being a lost world is its list of what biologists call obligate mutualisms — pairs of species that simply cannot survive without each other and so must always disperse to new places at similar paces. For all these reasons, biologists have described Grand Terre as a kind of natural Noah’s Ark, a refuge for lines of life that have persisted in isolation for 90 or more million years and whose nearest neighbours perished beneath the ocean waves when Zealandia kissed Australia goodbye. It’s a nice story and it held sway for a long time, but in recent years geologists came along and killed the romance. Then geneticists began to ask awkward questions. The geologists say the sea covered the island until just 37 million years ago — long, long after the last dinosaur drew its last breath. 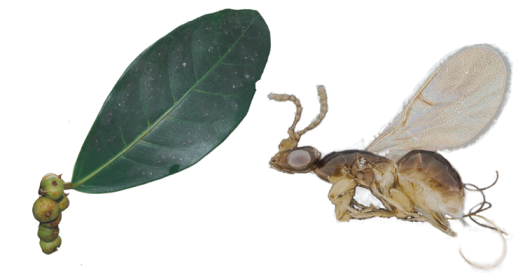 Now Astrid Cruaud and colleagues may have settled the debate with a look at some of the island’s most ancient species, a group of those obligate mutualists — several fig tree (Ficus) species and the wasps they cannot reproduce without. 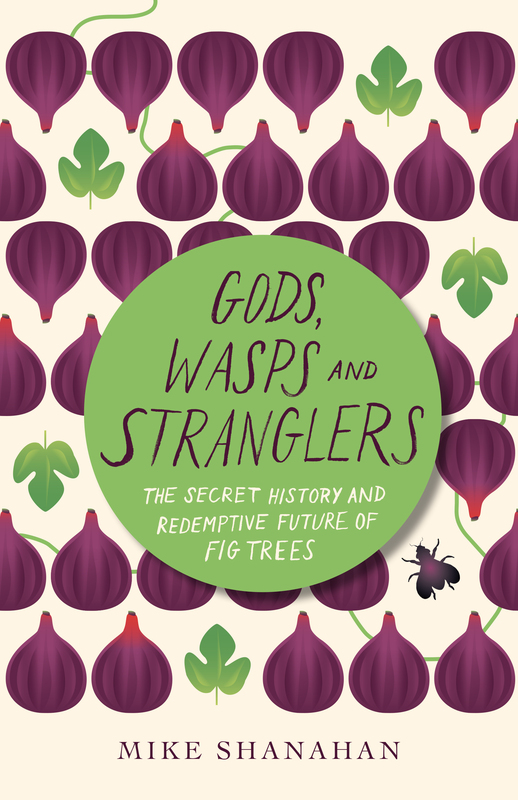 All fig trees depend on specific kinds of tiny wasps to pollinate their flowers. The wasps meanwhile can only breed inside specific kinds of figs. This relationship has existed for at least 70 million years, and today there are more than 800 fig species each with its own wasp partners. 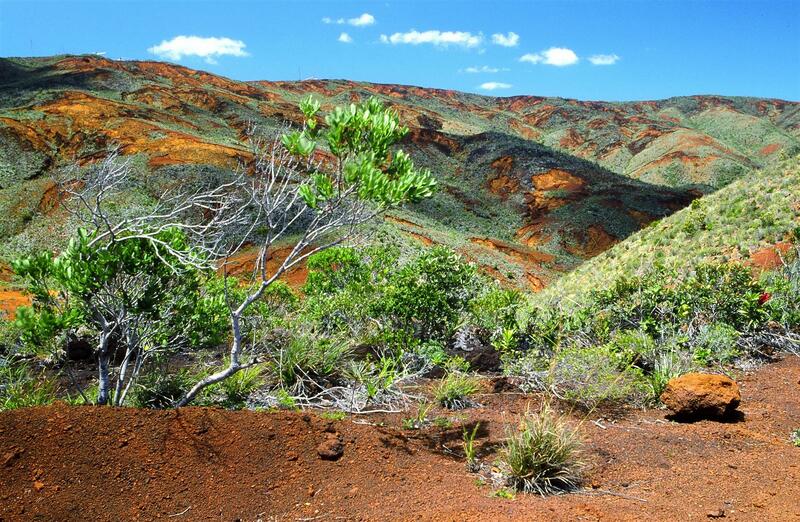 New Caledonia has 24 fig species that occur nowhere else on Earth. The fact that they and their species-specific pollinator wasps are present together on Grand Terre would seem to support the idea that the island is a refuge. But the new study by Cruaud and her colleagues throws cold water on the notion that they have been there since the time of the dinosaurs. And while it does, its findings are no less remarkable. The researchers compared the genetic material of 28 species of the island’s fig-pollinating wasps, as well as eight less closely related fig wasp species that live elsewhere, including two samples that were trapped and fossilised in amber between 16 and 20.4 million years ago. They were able to estimate dates for the origin of each species and the Grand Terre group as a whole. Based on this, they say the wasps and their figs are on New Caledonia because their ancestors dispersed there 32-46 million years ago, and not because these ancestors were already there when Zealandia broke away from Australia some 34-48 million years earlier. The researchers also reviewed other recent studies of the genetics of another 24 plants, 24 arthropods and 6 vertebrates from New Caledonia. In most cases, both the colonisation and diversification into different species were relatively recent, contradicting the idea that life on Grande Terre had survived in isolation since it was part of Gondwana. If not, then how did the figs and their wasps arrive on the island, and close enough in time for their mutualistic relationship to persist? The wasps, after all, live for only a couple of days as adults and must find figs of the right species and right stage of development to lay their eggs in. The fig trees meanwhile depend on birds and mammals to spread their seeds. And apart from Vanuatu, some 400 km away, the nearest large areas of land are the Solomon Islands (1000 km to the north), Australia (1220 km to the West) and New Zealand (1700 km to the south). All are too far for even the strongest fliers to carry seeds. But it was a different world 37 million years ago, when geologists say Grand Terre emerged again from the sea. 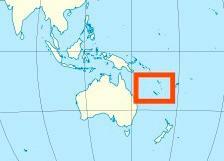 New Guinea had not yet formed. Sulawesi was two separate islands not one. 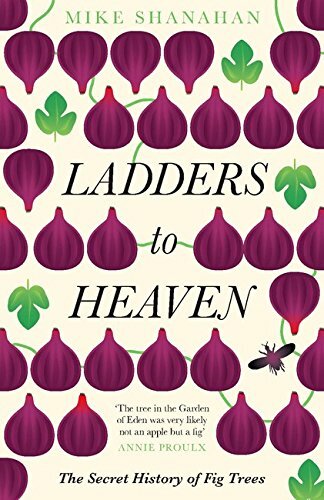 And there was an arc of volcanic islands that would have formed stepping stones for fig trees and their wasps on their eastward journey. Flying fig eaters are likely to have spread fig seeds across this volcanic chain, just as fruit bats and pigeons have in recent centuries helped fig trees to recolonise volcanoes whose eruptions eradicated all life — like Krakatau in Indonesia, and Long Island, Papua New Guinea, where I studied this process in 1999. These fig-loving animals can easily carry the small fig seeds more than 50 kilometres in their guts before pooping them out in distant lands. The wasps may be short-lived but are even more capable of long distance travel. My former colleagues at the University of Leeds showed that fig wasps in Namibia can carry pollen ten times further than any other insect pollinators — up to 160 kilometres. Why does all this matter, other than to suggest the geologists are right and the botanists wrong about Grande Terre? After all, under either scenario the land has been exposed and occupied for tens of millions of years. It matters because fig trees feed more species of wild animal than another other group of plants, but only if their wasp partners are there to pollinate their flowers. So knowing how each group gets around is useful in a modern world turned into patchwork by our own species’ success. It matters too because it shows once again that the 70-million year old partnership between figs and their wasps can cross continents, colonise new lands, create new species and continue to put our own short spell on Earth into humbling perspective. 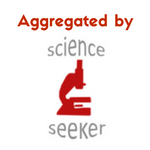 Mike, absolutely fascinating topic and brilliantly written ! Thank you for posting. I am tweeting the link. Thanks Manipadma — glad you liked it. It’s all about the figs. Love dem figs.